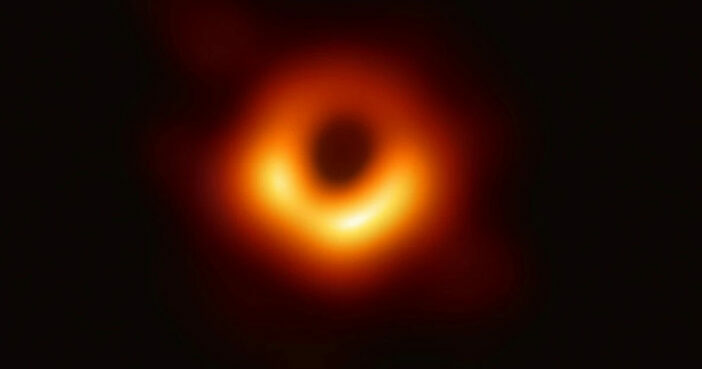 In the same week the first ever photograph of a black hole was released, the humungous space entity has also been given a name of its very own. And it’s perfect. The huge mysterious celebrity of the skies has been christened ‘Pōwehi’, a beautiful Hawaiian name meaning ‘the adorned fathomless dark creation’ or ’embellished dark source of unending creation’. Did anybody else get a dramatic shiver? This name certainly beats ‘Julia’ which reportedly derives from the Roman term ‘lulus’ or ‘newly bearded’. The name Pōwehi was reportedly chosen by Larry Kimura, an associate professor of Hawaiian language and studies from the University of Hawaii-Hilo. Two out of the eight radio telescopes which helped gather data to create the ground breaking image were Hawaiian, making this name entirely appropriate. As reported by the Honolulu Star-Advertiser Pōwehi comes is from an 18th century Hawaiian creation chant known as the Kumulipo. The first part of the word ‘pō’ refers to a profound dark source of ceaseless creation, while the honorific ‘wehi’, is one of the Kumulipo descriptions of pō. Kimura had reportedly been studying this 2,102 line chant for years, and has explained how the naming process ‘all just fell into place’. To have the privilege of giving a Hawaiian name to the very first scientific confirmation of a black hole is very meaningful to me and my Hawaiian lineage that comes from pō. Kimura reportedly regards the naming of Pōwehi as being ‘a great happening for science and Hawaiian language and identity revitalization’. Going forward, he believes it will help promote the preservation of the indigenous language of Hawaii.